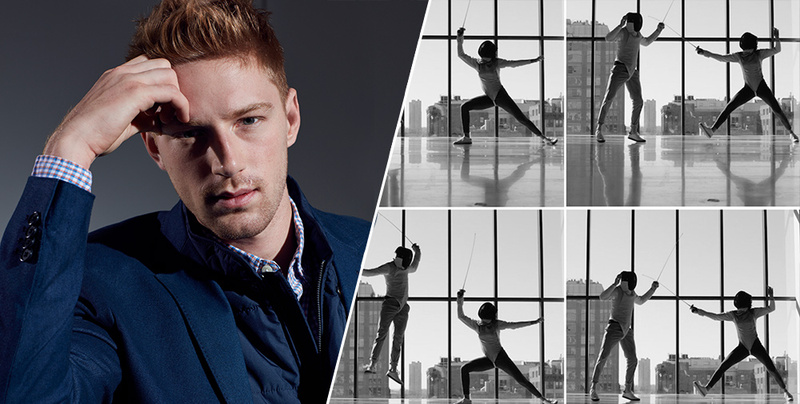 Test driving our Rapid Movement Chinos in a match against fellow Olympic fencer and girlfriend, Ysaora Thibus, Race Imboden shares how he finds balances between his rigorous competition schedule, modeling career and relationship. BR: Let’s talk fencing. You started when you were nine. What drew you in? Although it sounds ridiculous, I was playing in a park with a toy lightsaber and man approached my parents and said that I should try fencing. The ideas of sword fighting as a sport was enough reason for me to love it right away. We travel a lot as fencers. Our season this year consists of competitions in Egypt, Japan, Italy, Paris, Germany, Russia and Shanghai. Then there are the Zonal Championships and World Championships, which will be in China this year. BR: You are a model and an Olympic fencer. How do you balance the two? Fencing is my priority. When I have a [modeling] job, I try to fit it into my schedule. I have been really lucky to have great agents and good relationships with clients to make it work. Luckily shoots only last a couple days and I can usually find a gym to train in the mornings or nights during the shoot. Well, fencing has a very clean look to it. Mostly white and fitted with a splash of color on your mask and shoes. I do the same with my personal style. Really nice clean pieces that are followed up with something loud, like a sneaker. BR: You and Ysaora starred in our video together. How did you meet? Yes, it is still slightly surreal to me that we are in a relationship. I have known Ysa for many years watching her fence and admiring from afar. We just never really had a moment where our paths crossed. In the Rio Olympics, we finally got a little time to get to know each other, and after that things went pretty quickly. We have been dating for around a year now. BR: What do you like to do when you’re not working? Music and food are pretty much what I center my downtime around. I particularly like going to have a nice meal somewhere in my downtime with Ysa. Having just moved to LA, it’s pretty easy to find new places. Then, if we really have a couple days off and I can spend a night out, my preference is to go to a concert. My style has been and always will be changing. I like to take clean pieces of more high-end fashion and mix them with a little street style. 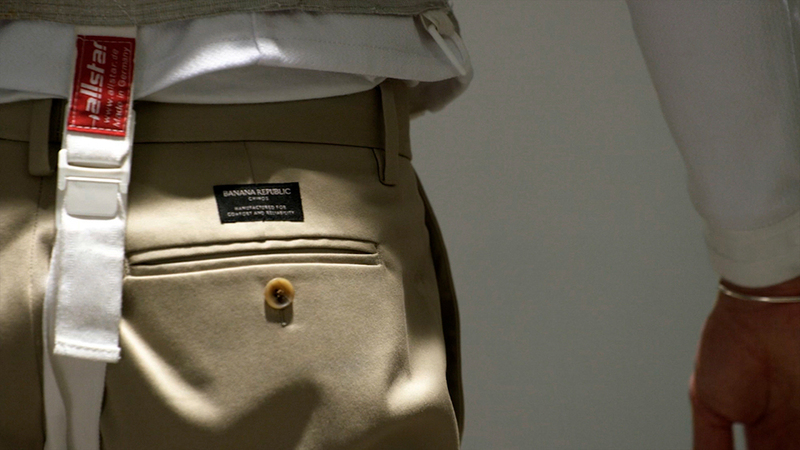 It’s about fit for me—I hate when things don’t fit right, so most of my pants are tailored. Steal. Steal from everyone and everything. Take bits of style you like form anyone or anything you see. 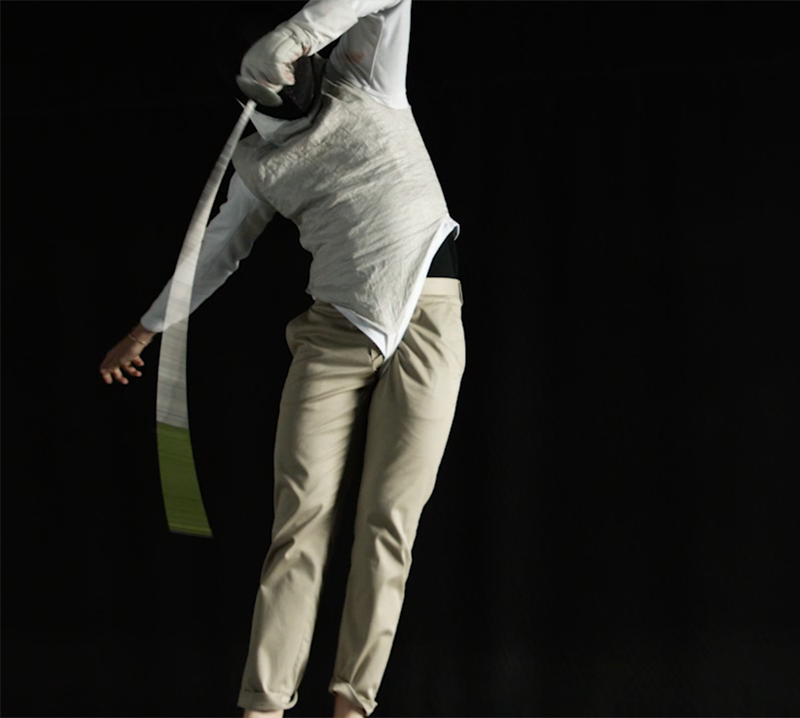 As a professional athlete and model, Race Imboden is constantly traveling and needs pieces that work with his active lifestyle, like our Rapid Movement Chino. Watch Race put them to the ultimate test in the video and find your perfect pair.